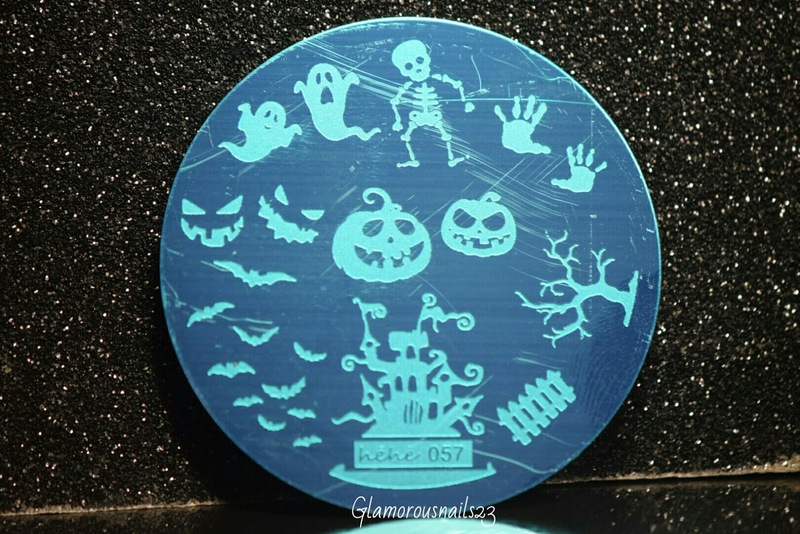 Today I have a fun stamping plate from Lady Queen to share with you. This plate is perfect for Halloween! The nail are I went for was actually chosen by my daughter because she wanted us to be matching. So she's got the exact same design on her toes! Let's take a look. 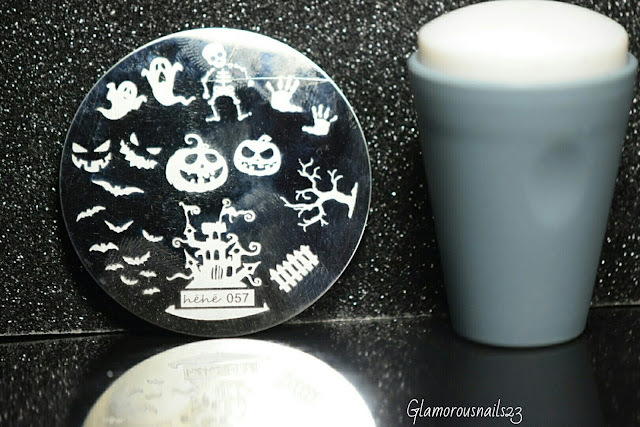 Isn't this a cute stamping plate perfect for Halloween? 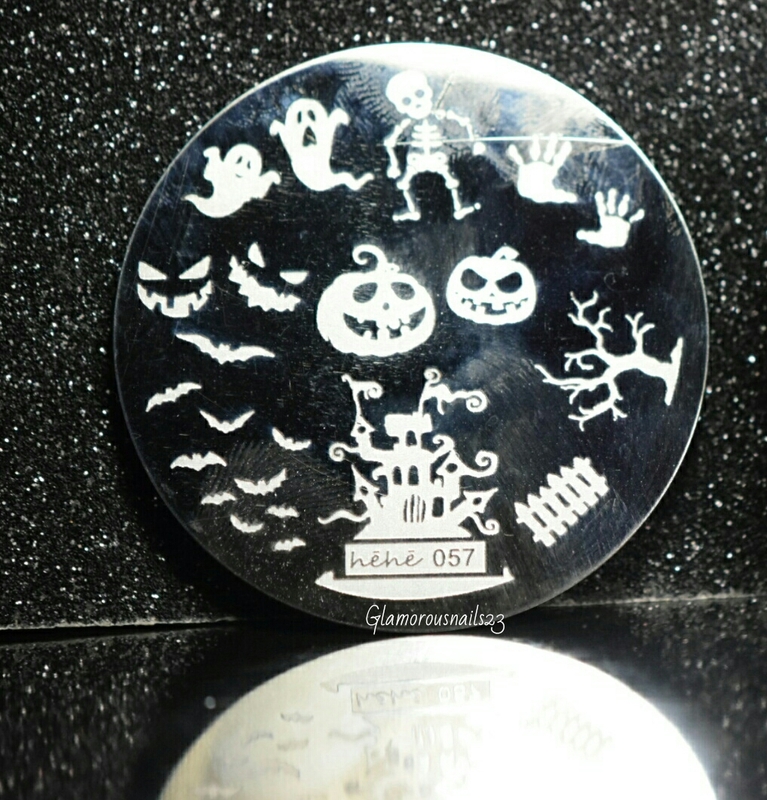 Funny enough this is the only Halloween themed stamping plate that I own (I know shame on me). It comes in a little clear plastic protecting and when you take it out of that it has the usual blue protective film on it. This plate measures 5.5 cm. I didn't have any issues when it came to using this plate at all! The images are etched nicely and they transferred very well from the plate to the stamper and from the stamper to the nail. 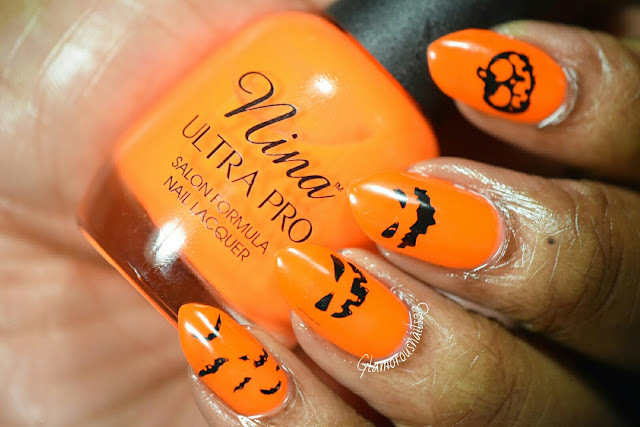 I'm going to try to create some more manis for Halloween with this plate! Here is the look that I created using a few images from this plate. I kept it really simple this time around but I still like it none the less. 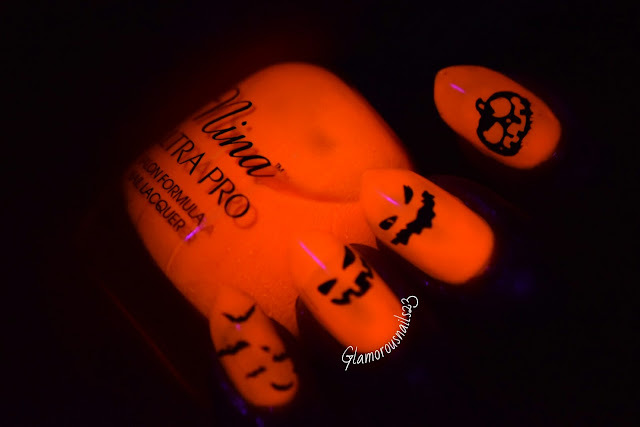 And here's how this mani looks under a black light! I thought this was really fun! 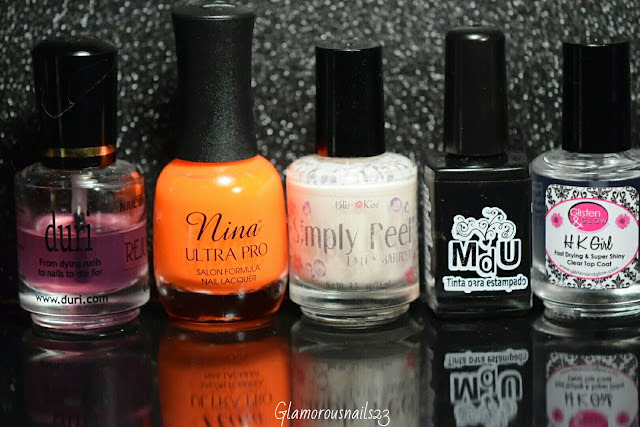 You can see more stamping plates as well as other nail art supplies on the Lady Queen website. I have a code LNCS15 for 15% of your entire purchase! 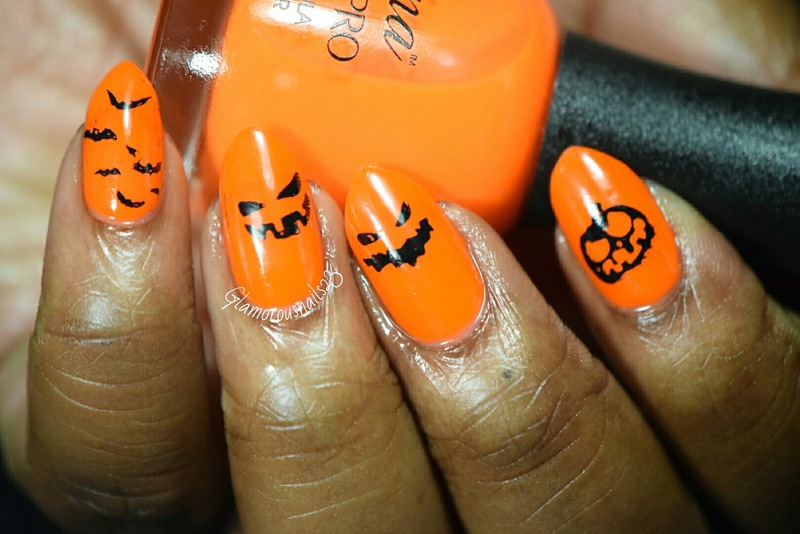 Do you like Halloween nail art? What do you think of this plate? Will you be going out for Halloween this year? Let's chat down below! Adorable mani! Love that plate! Love it! That's a cute plate. I own zero Halloween plates! I love hehe plate; their designs are always so good ! Love this, I need that plate! That dancing skeleton looks so cute! I love your pumpkins! Ooh that black light shot is super fun! I love your pumpkins! This is my first time trying out a Hehe plate! Thank you! See now I don't feel alone lol. Thank you Monica! The plate is fun for Halloween!